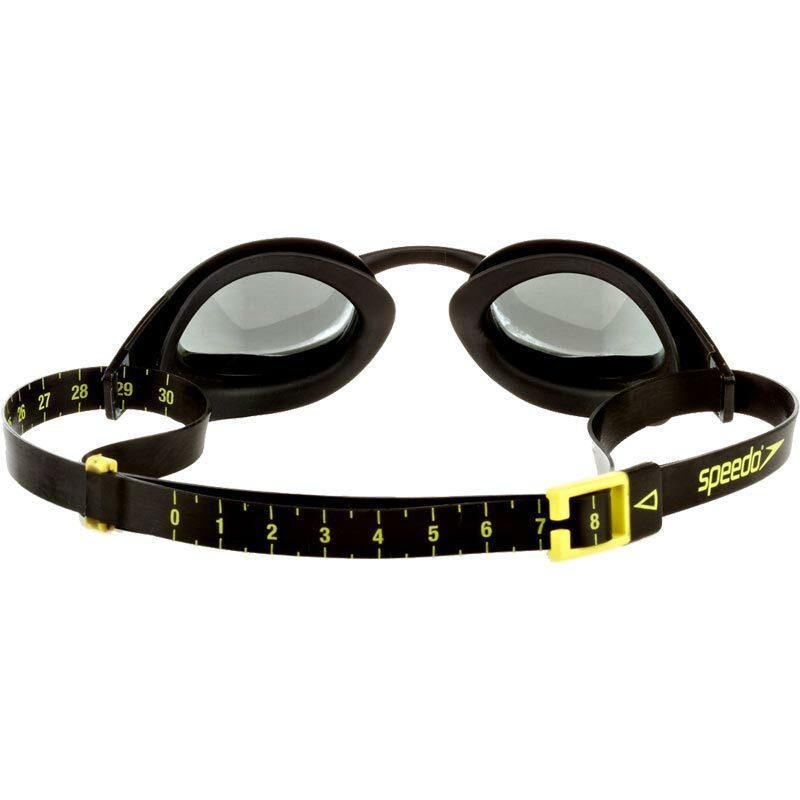 Created using global head scanning data, the Speedo ® Fastskin Elite Goggle includes our patented IQfit™ 3D seal and strap tensioning scale for unparalleled accuracy and our most secure fit yet. Unique IQfit™ 3D goggle seal offers optimum leak resistance and secure fit. Our first true 3D goggle seal designed with IQfit™ ™ for real head and face contours. 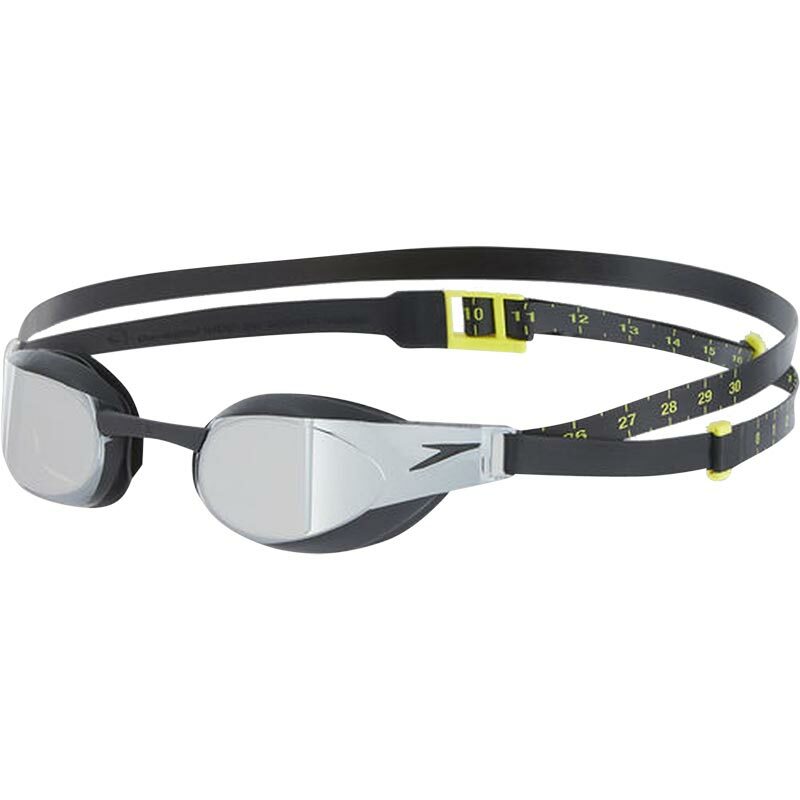 IQfit™ goggle strap is a new fully integrated one piece strap which eliminates dangling strap ends. Comes with 3 interchangeable nose bridges for best fit - When changing nosebridges you are advised to pull the nosebridge gently to remove from goggle. Do not twist. 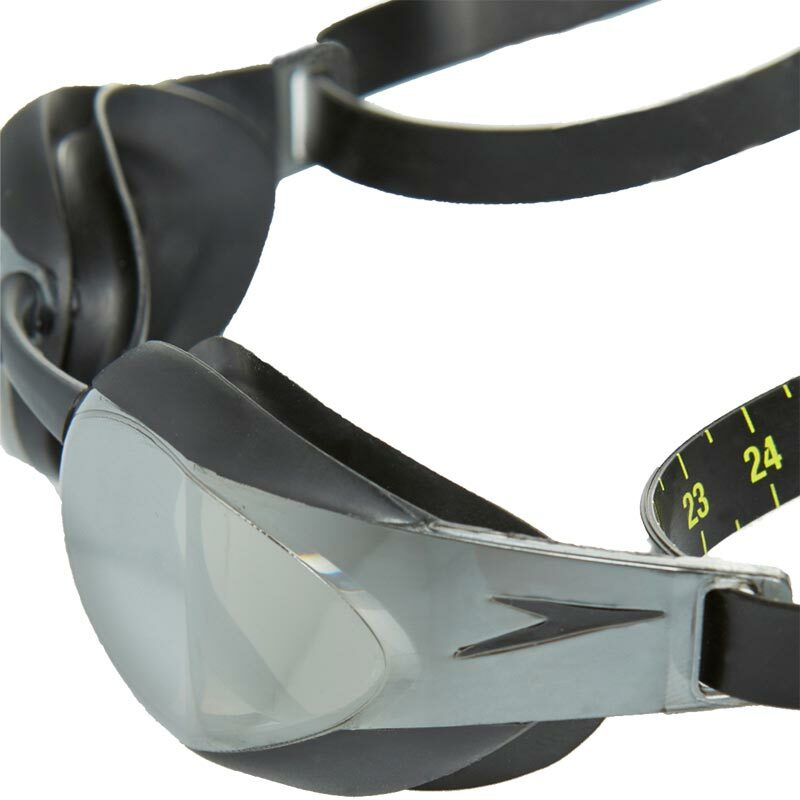 Use the Fit Point Marker on the centre of the nose bridge to align goggles and Fastskin³ cap. Love these they are super sleek and don’t let in any water. Purchasing for a second time, only due to losing previous pair after owning for around 6 months, which is testament to rating as rarely ever buy identical swimming kit, but it is the case that the first pair lasted well, the seals stayed in shape to ensure integrity and no leaks, the mirror lenses are hardwearing, durable and don't scratch easily, they're also very stylish and modern looking, suitable for either girls/women or boys/men, also if you or your child suffers eczema, contact dermatitis or chlorine allergy and their usual goggles worsen the symptoms then these are worth a try, my daughters problems have virtually disappeared since switching to these goggles. Our girls swear by these goggles for the fit, performance and look. New it’s we’re great value and delivery was very quick. Great goggles. Son uses for meets. Fit well no misting or leaking. These goggles are fantastically priced by Newitts. 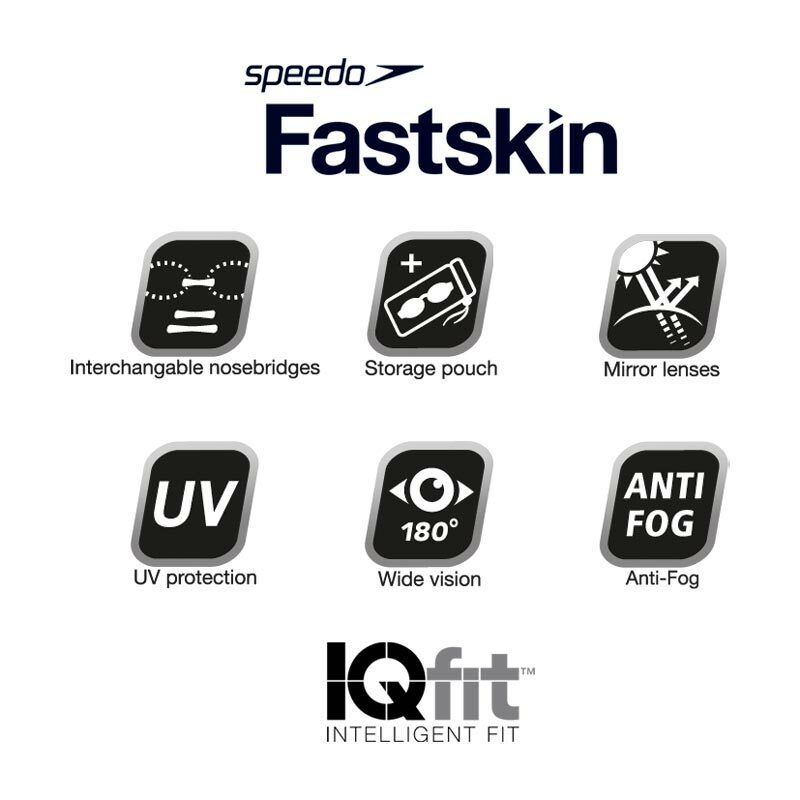 We have 5 children and amongst them they will only wear speedo fastskin to train and compete in.I would recommend both the products and Newitts and in fact I do recommend Newitts as they have great prices and service. Excellent fit for my daughter. Good product but make sure it is put away carefully to avoid scratches on shiny screen. These are great - they are super sleek so no issues diving in and the variety of nose pieces means they'll fit anyone.